Need a sample? Click here to request one. Need More?Call us at ext. 115 for special pricing beyond the quantities shown. 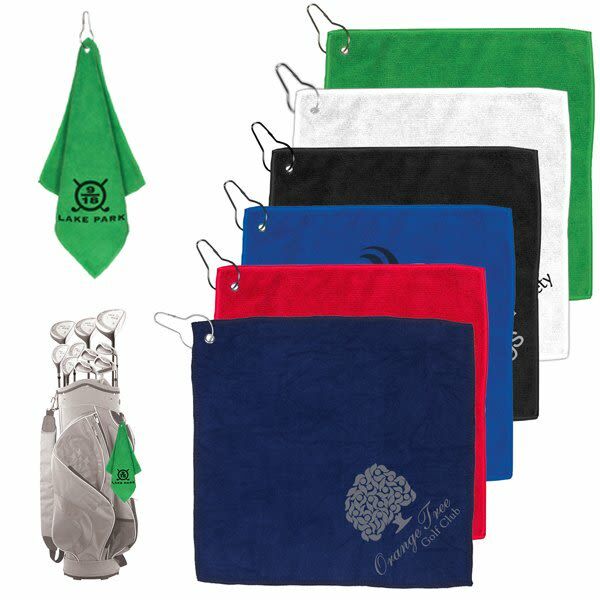 This Microfiber Golf Towel includes a metal grommet and clip to allow for easy access. Great for use on and off the golf course! Its soft and absorbant 300GSM microfiber material makes this product fabulous to have on hand at home too. 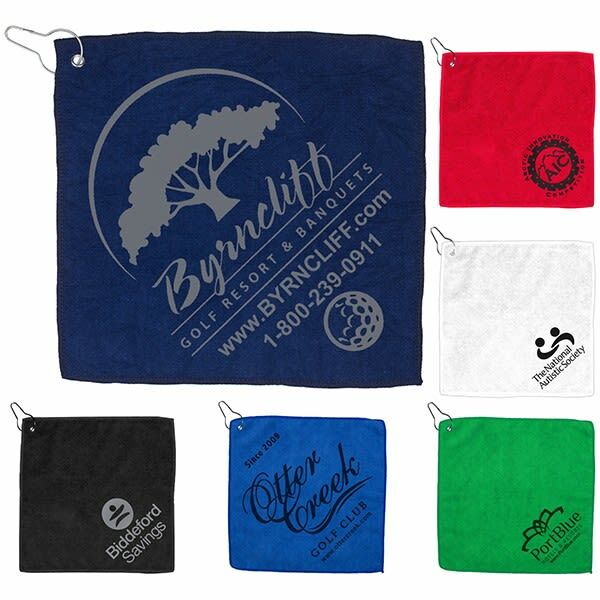 Use for drying off and cleaning golf balls and clubs, and see how quickly the towel dries! Price includes one imprint color in one imprint location. 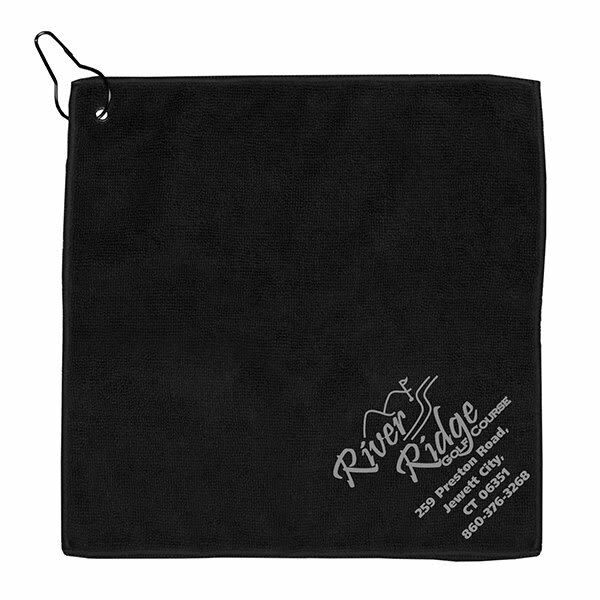 Black imprint is recommended on all towels, but some other colors are also available. 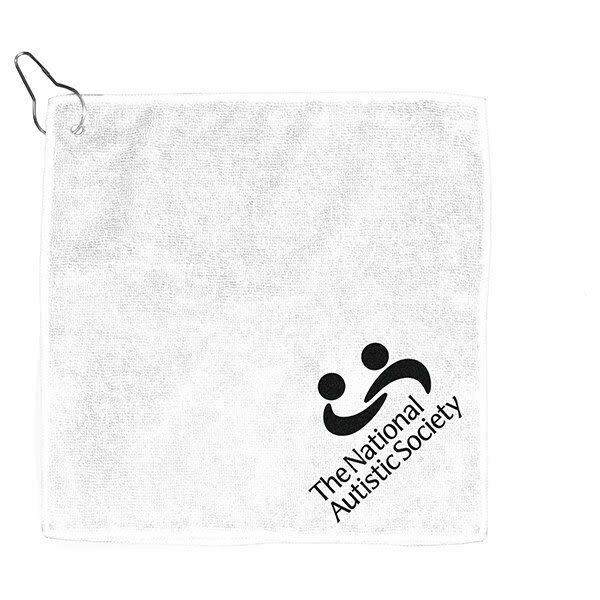 Black towel: Silver or gold imprint only. 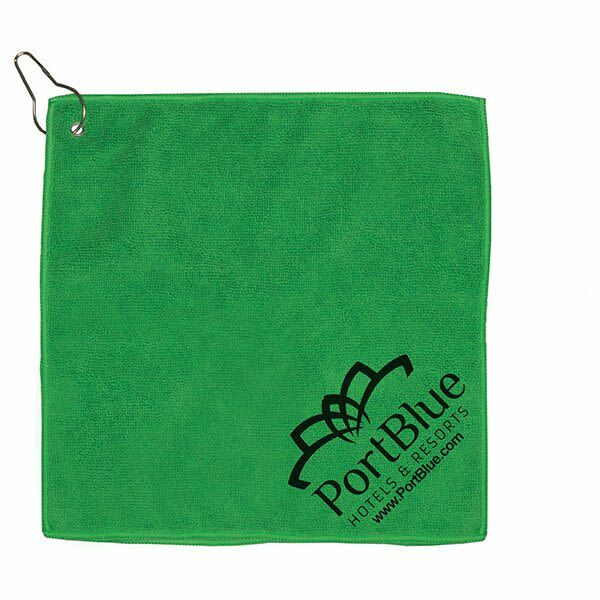 Green towel: Black, gold, silver, blue, and red imprint only. 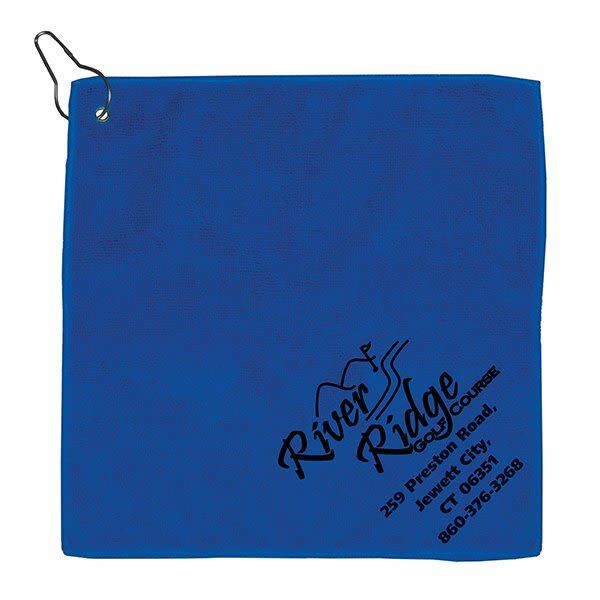 Blue towel: Black, gold, silver, red imprint only. 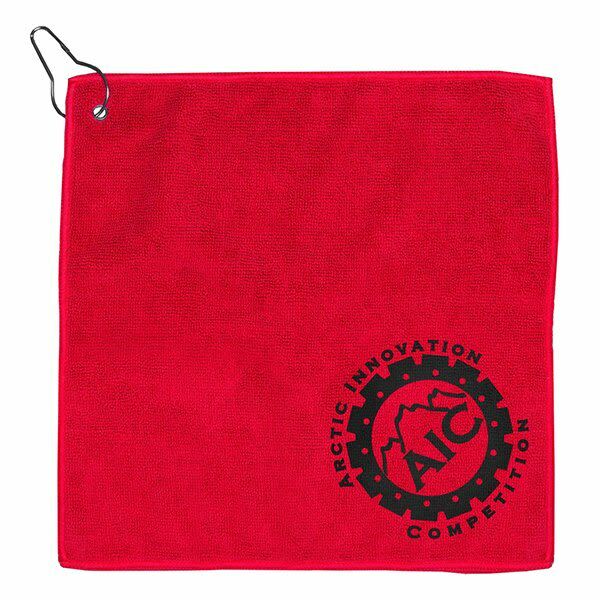 Red towel: Black, gold, silver, blue imprint only. 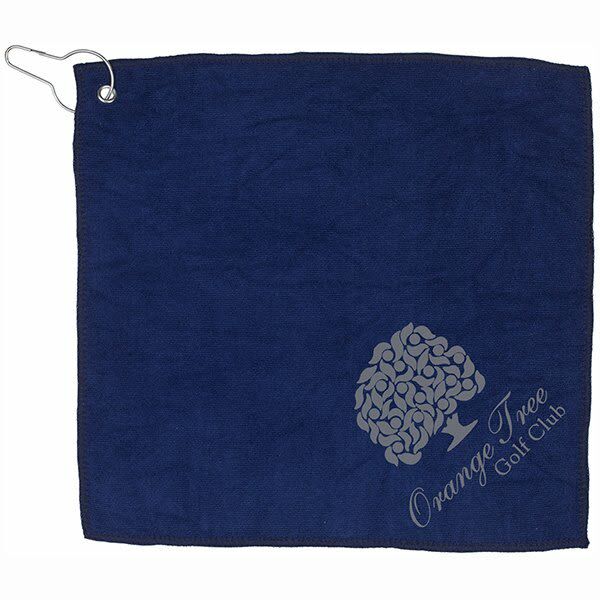 Navy blue towel: Silver or gold imprint only. Black ink in 22 point minimum is always recommended due to natural wear on imprint with washing and use. Please call for further details and pricing about additional decorating options. Here are some helpful references if you need some ideas for your custom imprint. Be sure to give us a call if you don't see what you want because we can most likely create it for you. This chart includes our basic imprint colors. We are able to imprint a different shade or an exact PMS match, please give us a call for details. *We are not responsible for color differences based on your monitor settings. This chart includes our basic Foil Stamp Colors. Due to the foil print process PMS color matching is not available. *We are not responsible for color differences based on your monitor settings. This is some of the many clip art graphics we can use to create your custom imprint.